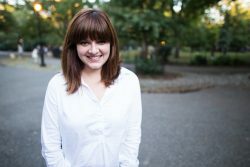 Amanda Litman is the co-founder and executive director of Run for Something, a PAC that helps recruit and support young, diverse progressives running for down-ballot office. 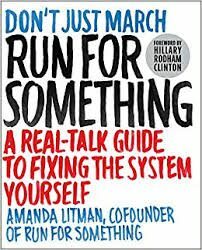 She's also the author of Run for Something: A Real Talk Guide to Fixing the System Yourself, published by Simon & Schuster in 2017. Previously, she was the email director for Hillary Clinton’s 2016 presidential campaign, digital director for Charlie Crist's 2014 Florida gubernatorial campaign, and an email writer for Barack Obama’s 2012 re-election campaign. She graduated from Northwestern University in 2012 and lives in Brooklyn with her rescue dog, Sadie. Run For Something was started on Inauguration Day, 2017 with a simple premise. "Run for Something will help recruit and support young diverse progressives to run for down-ballot races in order to build a bench for the future - the folks we support now could be possible members of the House, Senate, and maybe even President one day. We aim to lower the barriers to entry for these candidates by helping them with seed money, organization building, and access to trainings needed to be successful." They thought they might impact 100 young people. In 2017 they were contacted 15,000 recruits. They endorsed 72 candidates in 14 states. Of those, 35 won their races, with 51% women, and 40% people of color. They also built network of 500 mentors, coaches and creatives and raised over $750k from 6000 people. In 2018 they decided they were thinking too small! Their current annual goals include recruiting 50,000 potential candidates, and endorsing 1000 of them across all 50 states. DON’T JUST MARCH….RUN FOR SOMETHING!